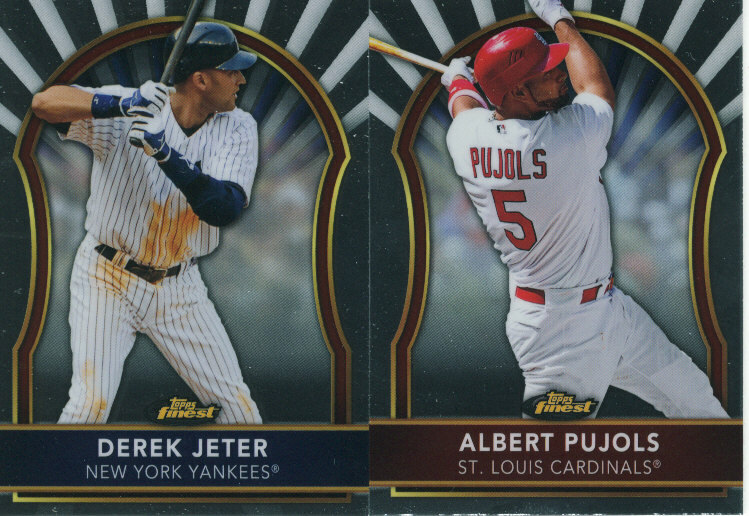 Here are the base cards, and of course Albert and Derek. They weren't actually in the box, but since we love them you get to look at this picture again. The set design this year mimics last years bonus Chrome cards that you got in the value boxes. Not sure this would have been the insert design I picked to use on this product, but no one asked me. I like the fact that the set looks nothing like anything else they put out this year, but at the same time it appears that limited thought went into the design altogether. Mini Box 1 - Here are the hits. The one thing I will say about the design that looks good- different colors. 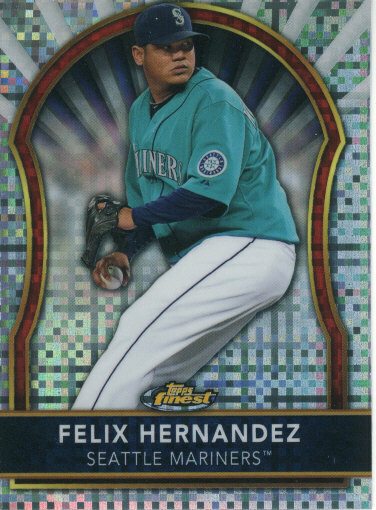 While I loathe the fact that every damn set I get stuck having to chase down 9 colors of every player I collect it's usually the blue refractors that I like the best. 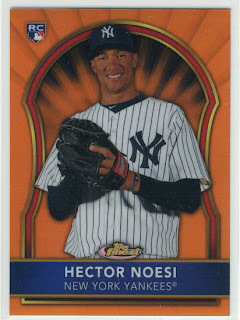 Often times the color refractors or parallels look nicer than the base cards, which is the case here. Doesn't mean I like spending money buying the same card 9 times and granted no one is forcing me to do so either. I feel like Topps is starting to get the hang of high end card designs, and what collectors are looking for as far as autographs on card and more out of the relic area than just a white swatch (which isn't true in this product, but Marquee did show patches on the relics for the price point). 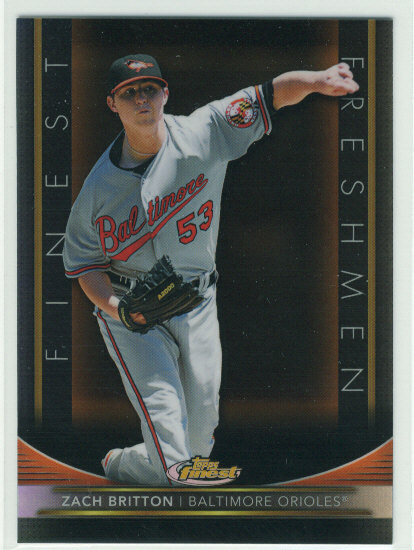 While this design is "fresh" from recent years of Finest, it has been noted that it strongly resembles inserts from last year which makes this set a little disappointing to me. 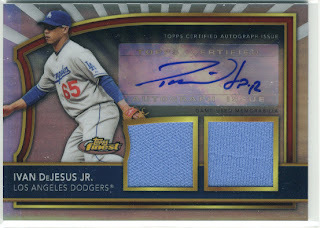 The autographs on card redeem the product somewhat, but is it enough? Not so sure. The refractors make the set if you ask me, and really for the money the set should be nice enough and the refractors just a bonus. Hobby boxes are selling for roughly $100 per box, and you are getting 1 on card rookie auto and one dual relic autograph plus I believe 6 "guaranteed" serial numbered cards. You end up with 51 base cards, 2 auto's, 6 serial numbered cards for $100. You could do worse. You could have bought a Series 2 Jumbo box for $100 and ended up with a white jersey swatch. 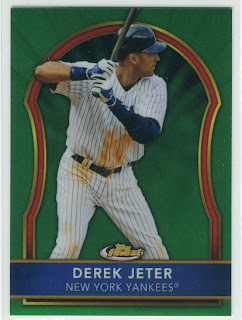 You could also do better- if you can afford Triple Threads or Marquee I would buy one of those. If you like having a chance or 2 or 3 of pulling a big hit I would take my chances with those products over Finest. 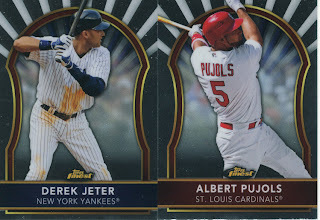 While there were no cards off center, the collation of this set is TERRIBLE. 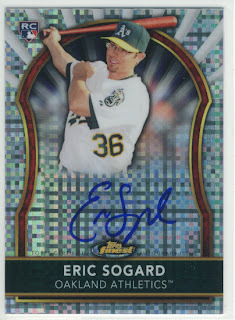 In the case that we opened added to this box break we pulled ONE Oakland A's player, and ZERO Cleveland Indians. I am also pretty sure that there was only one Colorado Rockie (Tulo) in this product, either that or we didn't pull anyone else. There are 30 teams in baseball, please represent them all. 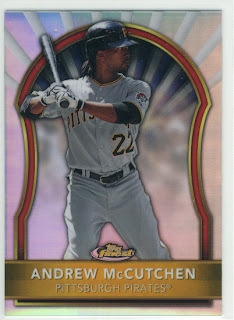 If you are a Braves or Royals fan, buy lots of this product- if not.... buy singles. 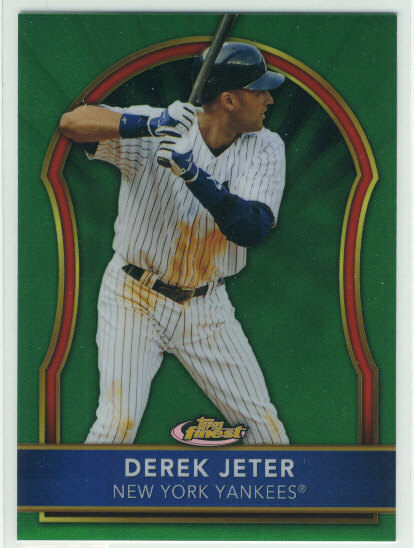 While the player checklist for autographs was very good, the design of the base cards and the lack of representation for all teams in MLB basically ruined the chances of this getting a better grade. While I like the atomic refractors from Series 2, I do NOT want to see a whole set that looks like this next year. I liked the inserts from the value boxes last year but never once did it cross my mind that they would make a great base set design for something. The pro to picking up boxes of this product is that if you love prospecting the on card auto's are sweet, and you can pull different color versions of each similar to Bowman. 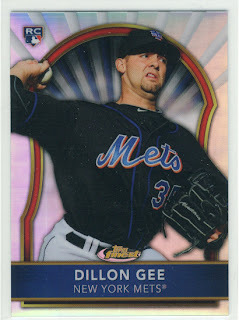 Will they hold the same value amongst collectors as Bowman RC auto's and DP auto's? That we will see. Do you guys like the design of this product? You think I am being too harsh or pretty dead on? You're exactly right on the collation. Horrible. I mentioned the same thing. I mentioned on twitter the other day that there are only two Detroit Tigers -- a playoff team no less -- in the entire set, autographs and inserts etc. included. Just two base cards. 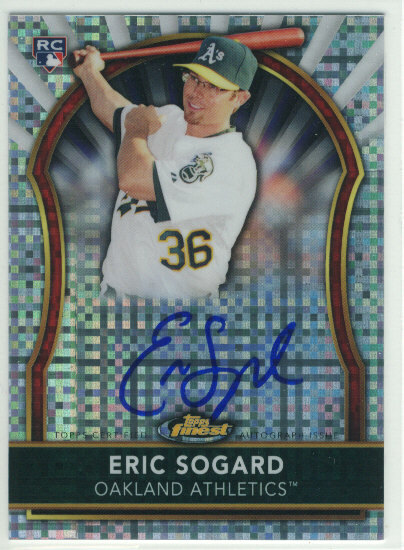 The A's card you pulled may be the only A they offer. 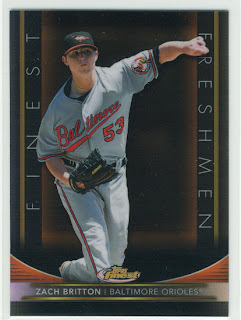 Astros, Marlins and O's also have 2 (base) cards. I get that it is a 100 card set, but is 3-ish cards per team, and 4 cards for 10/30 teams too much to ask? 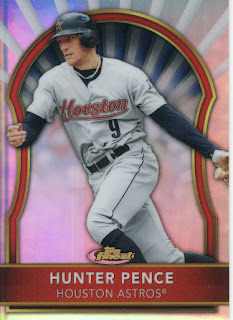 Ya pay all that money and you get Hunter Pence in the wrong uniform.